Hello! 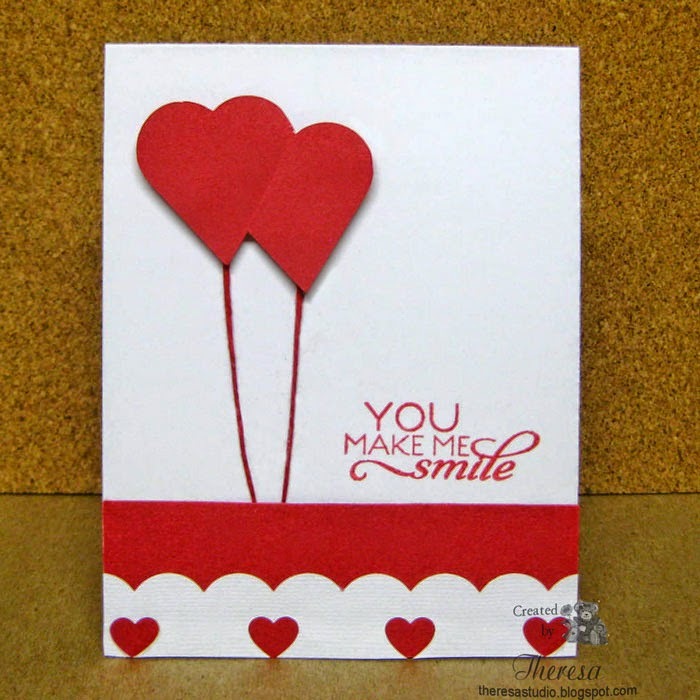 Today I have a card that I hope makes you smile. One of my crafting goals in 2015 is to use some of the leftovers and scraps that I have saved. The Double Heart on my card was left from a die cut that I made on the Cameo...do not have any info on the source. I used White CS as my base and added a strip of Red CS (scrap) and a White border cut (more scrap used) with an EK Punch. Then I added some red twine and attached the Double Heart. 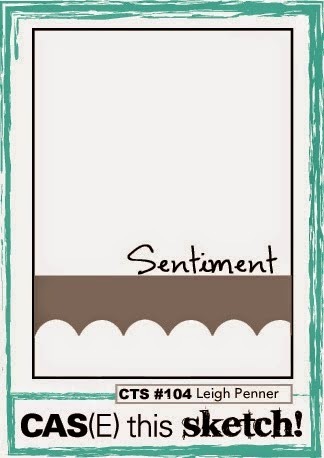 I stamped the Verve sentiment with Memento Lady Bug ink. As you can see, I followed the sketch from CAS(E) this Sketch! challenge. Of course I had to save the white hearts left from the punching the border.....now to find a use for them. 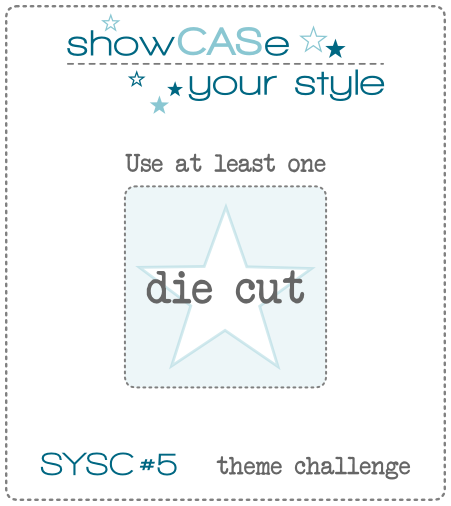 Showcase Your Style: Challenge 5 is a THEME CHALLENGE. Add at least one die cut to your CAS challenge card. I always smile when I read your comments. This card totally makes me smile! Great take on the sketch!